New Rochelle, NY, September 20, 2018-Researchers have made a significant new discovery concerning the signaling mechanisms that enable newts to regrow their tails after injury. Specifically, this process is shown to require the coordinated activation of the Hedgehog (Hh) and Wnt pathways. The study is published in Stem Cells and Development, a peer-reviewed journal from Mary Ann Liebert, Inc., publishers. 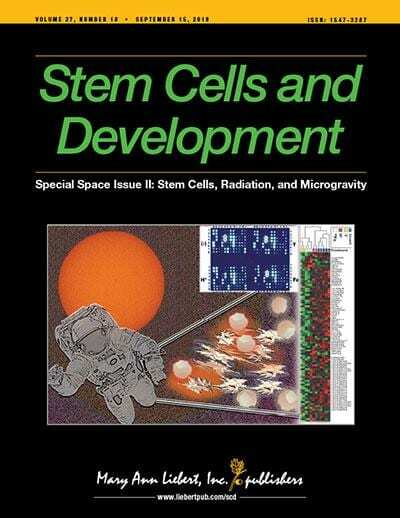 Click here to read the full-text article free on the Stem Cells and Development website through October 20, 2018. Mary G. Garry, Daniel J. Garry, and colleagues from the University of Minnesota present their work in a paper titled "Hedgehog and Wnt signaling pathways regulate tail regeneration". Previous studies have characterized the ability of certain organisms to regenerate appendages morphologically and identified some of the pathways involved, but precise mechanistic detail has been lacking. In this report using newts, the authors first identified key players in the Hh and Wnt pathways that are upregulated after acute tail injury. They then demonstrated through loss-of-function and gain-of-function experiments that each pathway is essential for proper tissue regeneration. Finally, by inhibiting each of these pathways individually while activating the other, the authors found that the Wnt pathway likely functions upstream of and activates the Hh pathway in response to injury. "The pursuit of advances in limb regeneration desperately needs developmental understanding," says Editor-in-Chief Graham C. Parker, PhD, The Carman and Ann Adams Department of Pediatrics, Wayne State University School of Medicine, Detroit, MI. "This study suggests Wnt activity precedes the Hedgehog pathway and further indicates two roles for Hedgehog signaling, firstly in tissue patterning, then secondly proliferation."